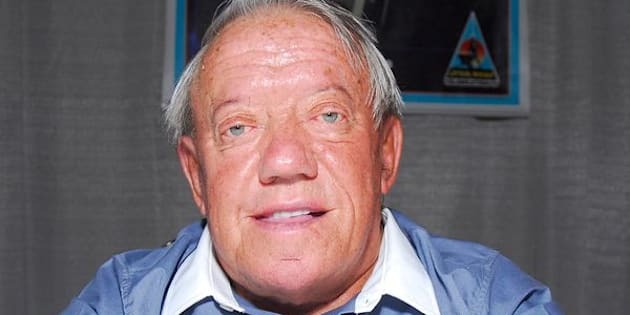 Kenny Baker appears at the 'Star Wars Celebration IV' convention in Los Angeles in 2007. Kenny Baker, who brought R2-D2 to life in six “Star Wars” films over almost four decades has died after battling a long illness, his agent has confirmed. He was less than two weeks away from his 82nd birthday, according to Baker’s website. His body was discovered on Saturday morning by a nephew, who had been looking after him, said his agent, Johnny Mans. Although he was unable to attend the film’s Los Angeles premiere due to his illness, he did make an appearance at its European premiere in a wheelchair, posing with Stormtroopers on the red carpet. Kenny Baker at the 'Star Wars: The Force Awakens' premiere in London. Baker’s niece, Abigail Shield, told The Guardian that his death was sad, but expected, as his illness had worsened significantly in recent years. Shield also notes that, because of his stature, Baker’s family didn’t expect him to survive after puberty, let alone make a name for himself in Hollywood. This article has been updated to include reactions from Baker’s collaborators.